Hy-Vee is a chain of supermarkets in the Midwest United States. Founded in 1930 and headquartered in Des Moines, Iowa, the chain operates 237 stores in 8 different states. The company places focus on personal health, and the products and services offered in their stores reflect this passion. See the link below for the Hy-Vee application. The company’s history began in 1921, when Charles Hyde began working for the General Supply Company, owned by his soon-to-be partner David Vredenburg. After working together for several years, Hyde and Vredenburg opened their own company separate from General Supply in 1930. Hyde and Vredenburg was incorporated in 1938. 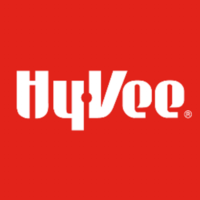 In 1952, the company name became Hy-Vee, a contraction of the two owners’ names. The chain has expanded beyond basic supermarkets. Beginning in 2013, many of the stores have attached restaurants called the Hy-Vee Market Grille or Market Café. Others have attached Starbucks or Caribou Coffee shops. Still others offer fueling stations, and a few even have an adjacent fitness center. All of these additions are based on what is determined to best suit the customer’s needs. The company contributes frequently to the community. They have given over $80,000 in scholarship money to high school students pursuing a college degree. Since 1983, they have contributed over $14 million to Variety, a charitable organization for children. They have also contributed over $17 million to the Juvenile Diabetes foundation. The chain earns over $8 billion in revenue every year and is ranked in the top 25 in the United States supermarket industry. The company is employee-owned, which means that workers at the stores have stock in the company and can help make decisions. See the link below for how to apply for Hy-Vee online. There is no printable application form. With 237 stores employing over 75,000 people, there are numerous Hy-Vee jobs available. Job opportunities in retail locations include standards such as cashiers, courtesy clerks, and managers. However, because of the diversity of the services offered at the supermarkets, there are also additional positions such as bartenders, sushi chefs, coffee shop baristas, and many more. Degreed professionals can also find fulfilling Hy-Vee careers either at store locations or at headquarters. Corporate jobs are available in specializations such as human resources, information technology, law, and finance. There are also openings for pharmacy degree-holders at local stores. Since 2000, the stores have employed dietitians to help customers with making healthy grocery choices. How old do you have to be to work at Hy-Vee? The minimum age to apply for jobs at Hy-Vee is 14 years old. However, the company states that they rarely hire anyone under the age of 16. There may be additional requirements based on job position. These can include the ability to stand and walk for long periods as well as lift moderately heavy loads. Hy-Vee jobs come with a slate of employment benefits. These include a comprehensive insurance plan including medical, dental and disability, prescription drug coverage, a 401k, and paid vacation. Employees also have unlimited opportunity to advance their careers. Ron Pearson, a chairman emeritus, tells the story of how he advanced from a stockroom worker to become president of the company. All stores are open 24 hours a day, seven days a week. Below is a job description list for several Hy-Vee jobs online. Checker- This position handles customer orders and ensures that they get their groceries to their vehicles. Responsibilities include ringing up customers’ products, greeting customers, bagging merchandise, helping carry groceries to the customer’s car, and maintaining a clean and tidy cash register area. No previous experience is required, but there are physical requirements such as standing, walking, and lifting loads. Salary averages $9/hour. Department Clerk- This position fully manages one area of the store’s merchandise. Responsibilities include keeping product stocked in the area, keeping the area clean and tidy, greeting customers and helping them find any items, and occasionally ringing up customers in that department. Six months to a year of experience in a similar job position is required. Salary averages $10/hour. Staff Pharmacist- This position manages orders at one of the in-store pharmacies. Responsibilities include taking customer prescriptions, filling them while adhering to safety and health standards and local law, and maintaining inventory of product. Staff pharmacists often advance to upper-level management positions. A degree in pharmacy is required, but student and graduate internships are available. Salary averages $125,000/year. Dietitian- This position gives nutritional advice in-store. Responsibilities include assisting customers in selecting healthy food choices, creating meal plans in one-on-one consultations, and could include giving cooking classes or participating in video or other media creation. In-store dietitians often advance to upper-level management positions. A bachelor’s degree in nutrition or a related subject as well as a Registered Dietitian’s license is required. Salary averages $60,000/year. Below are some questions you can expect to hear in an interview for this company. Do you enjoy fast-paced work? Working in a supermarket can be pretty hectic. Between keeping shelves stocked, the area clean, and customers satisfied, there’s a lot of running around. Make sure this is the right fit for you. How open is your schedule? Because their store is open 24 hours a day, chances are high that they will ask you to work some night and weekend shifts. Ensure you can accommodate this and let them know in advance of any other commitments you have. Tell me about a time you had to deal with a conflict. The company’s slogan is “a helpful smile in every aisle.” That holds true even when the customer isn’t smiling back. Prepare a story that proves you can handle complaints and argument with positivity and poise. Do you enjoy working on a team? Supermarkets are not an area for individual work. Everyone must cooperate to get the job done and create the best experience for the customer. Tell me about a time you had to solve a problem on your own. Because the stores are always open, you may occasionally encounter a problem when no manager is on the clock to tell you what to do. Prepare a story that shows your initiative and critical thinking skills. There is no printable application for Hy-Vee; individuals must either apply online or in store. Whichever you choose, there are several steps you can take to ensure your success in the Hy-Vee application process. If submitting an online application (see link to download application form), ensure that you proofread both it and your résumé. The more organized and professional it is, the more it stands out among the other applications. If you go in the store for a direct application, make sure you dress nice. This doesn’t mean a suit, but you should wear clean and ironed business casual clothing such as a polo and slacks. First impressions are everything in the hiring process, so make sure you greet the manager with a smile and a firm, confident handshake. These same rules will apply when you return for the interview. Prepare for the interview as much as possible so you aren’t nervous. Have answers for the questions above and any other possible interview questions that you can find online. When you talk to the interviewer, pretend they are a customer in your store and treat them the same way: smile, make good eye contact, and listen carefully to what they say. Finally, don’t let the interviewer do all the talking. It’s important for you to determine if this job is right for you, so if you have questions or concerns, voice them. The interviewer will welcome this, because it shows that you are really invested in the job and makes it much more likely that you will find fulfillment and enjoyment in your career.